Pautrot again shows his mastery at portraying small wild birds in their daily lives. Here we have a fine and rare pair of small Song Birds frolicking up and down some branches as they interact with each other. 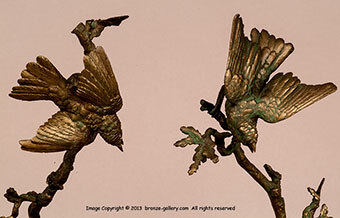 Two Song Birds on one branch squawk to each other, while a third small Bird hangs from another branch watching them. The details are finely cast and chassed, and show each feather, beak and bright little eye of these lively aviian subjects. 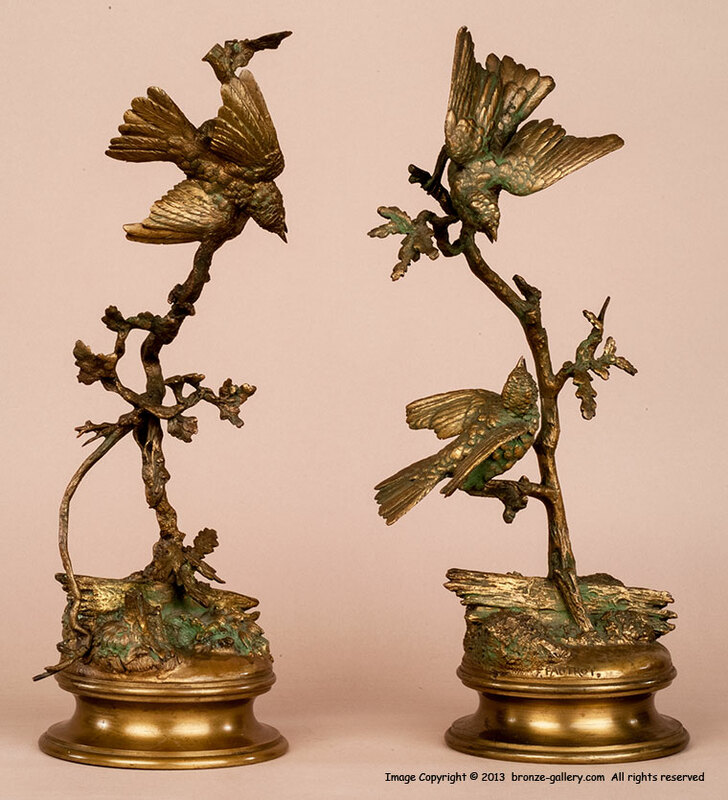 It is quite rare to find a matched pair of bronzes like these that have been together for over 150 years. Each bronze has a warm golden patina with touches of green, and they make a fine and rare group.